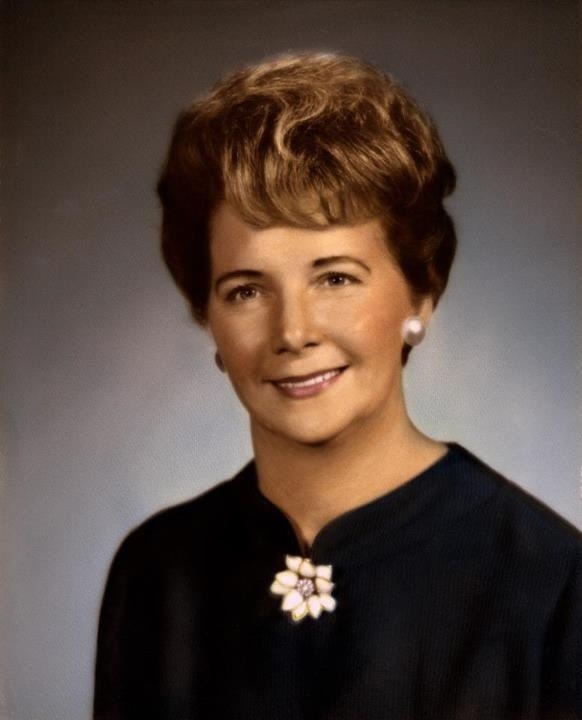 Geneva Delores Briggs Wisner, age 89, died at the Good Samaritan Society Sioux Falls Village on Monday, October 15, 2012, after living a long and productive life. Born July 12th, 1923, in Oacoma, SD, to Olina and Elvin Briggs, Geneva attended school in Brule County. Her mother Olina Anderson Briggs died when Geneva was five years old, leaving six children. Elvin Briggs later married Adelia (Dolly) Bullis, a widow who also had six children. Together, the couple had one more child. Geneva graduated from Kimball High School, Kimball, SD, in 1941. Geneva moved to Mitchell, SD, in 1943 where, at the age of 20, she and her twin sister Janice purchased and ran a 24-hour diner called the Snack CafÃ©. On June 28, 1945, Geneva married Francis (Red) Wisner in Mitchell, SD. Geneva and Francis moved to Sioux Falls, SD, where they raised six children. Geneva was a mother and a homemaker who was active in the Catholic community, an avid golfer, Twins fan, and bridge player. Geneva moved to Yankton, SD in 1971. She owned and operated the Flamming Court Motel for eighteen years. In 1984, Geneva moved back to Sioux Falls, SD to retire. Geneva was a member of St. Michaelâ€™s Parish, Sioux Falls, SD. Geneva will be remembered fondly for the love of her family, friends, cooking, baking, card playing, and watching baseball as she was a great fan of the Minnesota Twins. Survivors include: Joan (Jim) Wareham, Sioux Falls, SD; Rosemary (Bill) Wikle, Sioux Falls, SD; Dennis Wisner, Olympia, WA; Michael Wisner (Louis Fried), San Francisco, CA; Michele (Kurt) Termansen, Yankton, SD; and Susan Wisner, Santa Clara, CA; nine grandchildren; five great-grandchildren; one sister Bernice Pedersen, Yankton, SD and a half-sister, Donna Lomato, Naples, FL. Geneva was preceded in death by son Craig, her parents, two brothers Floyd and Donald Briggs, and two sisters Lucille Bennett and Janice Hildebrand and one great grandchild. Visitation will be Thursday, 5 PM at Barnett-Lewis Funeral Home with a Scripture Vigil at 6:30 PM. Mass of Christian Burial will be Friday, 2:00 PM at St. Michaelâ€™s Parish in Sioux Falls, 1600 S. Marion Road. Following the services, burial will be at St. Michaelâ€™s Cemetery located at 3001 N. Cliff Ave. in Sioux Falls. Relatives and friends are invited to return to St. Michaelâ€™s Parish following for refreshments and a light supper to visit with family. A special thank you to the staff of Good Samaritan Village in Sioux Falls for their care of Geneva and support to the family.